I use a synology 918+ NAS at home. Because of SMB version problem, I switch the synolgoy roon core to windows core. After using a while, I felt I have to 24hr running the windows core to keep the roon ruuning. For my home network, I use the policy routing to route the Internet traffic. so that, it is not convenient running windows core with two NICs on my PCs. I have to switch enable and disable the one of NIC or changing route manually in order to keep the PC can have the proper routes pre-defined on the router. I have to switch back to synology or buying a new NUC using ROCK. At least $600-800 Intel 8th generation NUC. still feel little expensive. I started looking for VM solution, because the synology spk core have the Airplay and SONOS problem, also the SMB bugs (It can be solved install the SMB 1.0 version at server end. But synology FILE STATION completely no problem to mount any version of SMB, so I think manually install the SMB 1.0 to use the network folder is stupid way). According to the community topics, someone said the problem caused by the open vswitch default enabled in synology. I run tests. The synolgoy AUDIO STATION discover the Airplay 1 &2 without any problem . So I confirm that just another excuse for SPK ROON. I also saw the topic whom want running ROCK under ESXi. There is no people explain every step very clearly. Also, no one want share the OVA in public. The biggest problem is keyboard interactive in VM host. 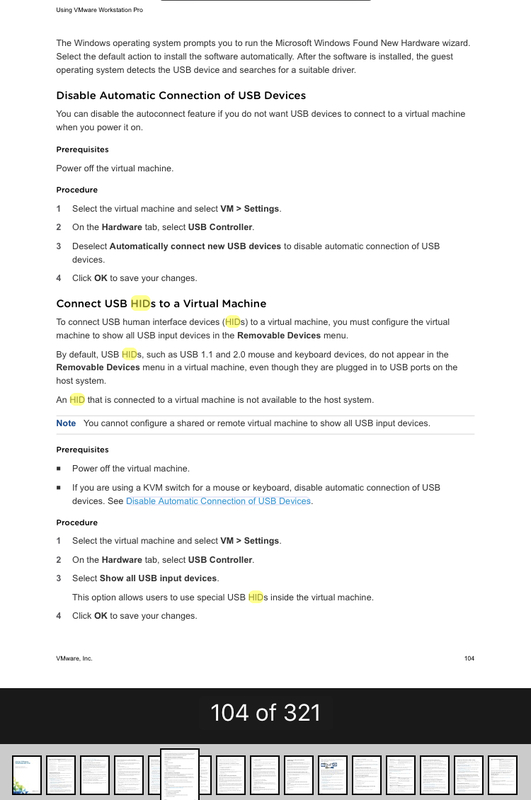 I found the VMWARE workstation 14 solution is not using vmx file modification with usb.generic.allowhid = true. Actually I tried, but VMWARE displayed error to cancel the vm host starting. 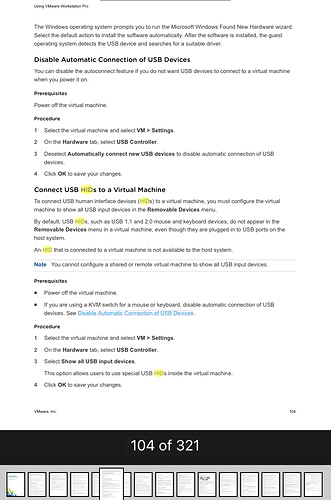 finally, It only need click setting in the the VM host according to the VMWARE GUIDE. You can use any VM. 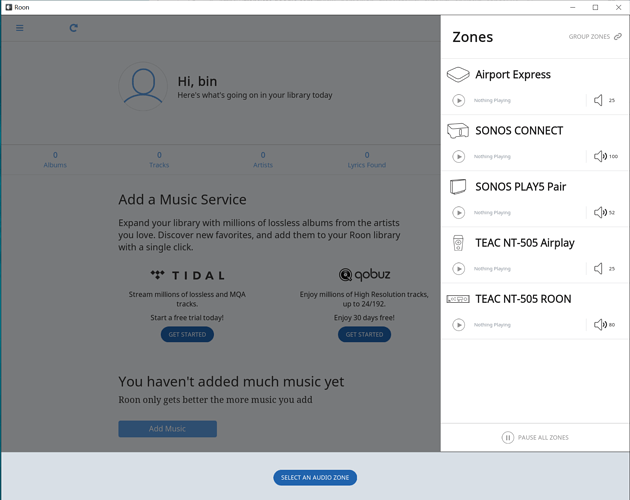 NO AIRPLAY and NO SONOS problem at all in synology VMM. And you can add second virtual disk for your self if you need internal storage. The second drive have to be IDE in order the ROCK can recognized. My OVA default setting are 1 CPU 4 core 4GB memory 256GB virtual HDD, 2*network cards to cross VLANs. It’s the 193MB OVA file. It already updated to ROON 1.6 version. According to danny’s reply below, I remove the OVA SHARE LINK. But I will answer the question anyone ask. I just want any paid ROON user can use it without any basic function not working. You should have the vm download the latest roon pkg on first run. We do not allow redistribution of the software like you are doing. Docker has the problem with Airplay & SONOS discovery in Synology. But Synology VMM host or VMware VM host doesn’t have that problem. Anyone who runs synology DSM with synology virtual machine (VMM) will enable open vswitch by default (can’t disable with VMM working). If ROON users can get ROCK or ROON CORE without basic function fail in their particular system, no one want waste that long time to custom. According to your reply, I remove the SHARE LINK, just keep the METHOD. Yeah except using Docker for Roon on a Synology device (capable of running Virtual Machines) does not find network devices because of the virtual switch used by VMs. I’m not suggesting you use docker. I’m telling you that you aren’t allowed to distribute Roon software. I’m showing you that the docker images out there do not distribute Roon, and instead download Roon from us to install it. If you want to do this, make your VM download and install on first run. The VM you distribute can not have Roon or ROCK preinstalled. I just succeeded with roon Rock as virtual machine on Qnap. Just used the ROCK installation file provided by roon, put it on USB, signed USB as primary boot for the VM, set parameters to satisfy roon (4 GB RAM, 2 cores, 100+ GB on SSD). Up on starting the VM I had on additional keyboard attached to my qnap. On the session window on my workstation I could use than the keyboard attached to my qnap to get the required inputs done. So far the experiment on a VM is fine. Rock asked me to run updates on its software, rebooted etc. The web interface this VM Rock shows is more to my liking than the dashboard that the qnap app gives. I can specify precisely some network settings which are quite important to roon. Of course you would have to inject codecs if you want to play propiatary formats such as m4a or mp3. Roon gives a link to the required file. You can connect with your workstation to your VM Rock as a regular machine, guest connection is accepted and just put the codec to this file, reboot and your up and running. Performance of VM Rock is ok. My impression is that I would need to optimise the virtual switch connection as response on searches such as artists tend to be slow.